Shorty is a full carbon allround freeride foil suitable beginners and intermediate riders. 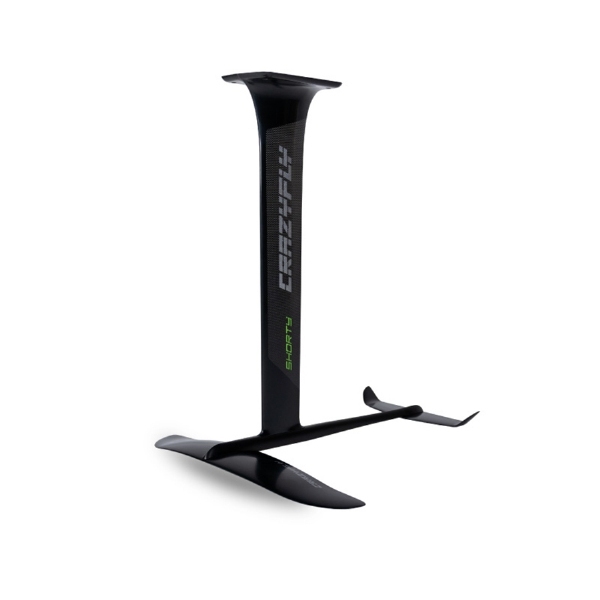 The shorter 71cm mast is forgiving during crashes and makes water starts much easier. It also helps beginners get up on the foil quicker. The Shorty is a great option for shallow water spots and having fun in the waves with its playful nature. The 590 front wing has the highest lift in our range for early take off at low speed and amazing stability. 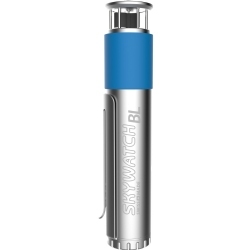 Plus, it goes upwind extremely well in low wind and generates medium top speed. All parts of the foil set can be quickly and easily mounted and dismounted with only seven screws, which makes it perfect for travelling. We designed the foils with a modular system so all individual parts are compatible and interchangable between the Master, Up, and Shorty foil sets. The modular system is ideal for upgrading your foil game. For example, you can upgrade your Shorty foil set with a Master or Up front wing once you progress to hit higher top speeds. The Crazyfly Foils are made with the most advanced composite technology – prepreg Autoclave. Prepreg carbon fiber composites always have the perfect ratio of resin spread evenly and create the best molecular bonding. Prepreg composite lamination is a dry process, as prepreg carbon fiber composites are stored cold. Then they are CNC knife cut and hand placed into the mold. The Autoclave ensures correct pressure and heat are applied for a very specific time frame. This results in by far the best strength to weight ratio which is essential for high performance foils. Of course, all foil products are produced in Europe.